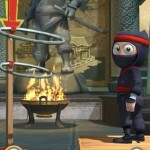 Train your ninja to learn new tricks and super-special Ninja Moves! 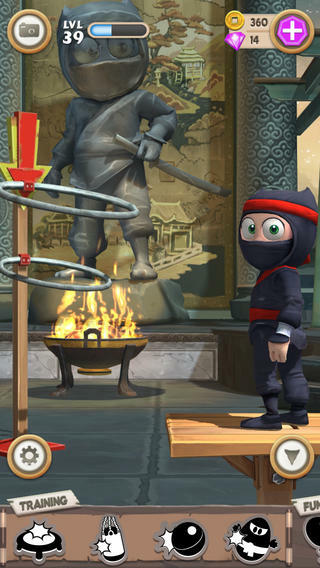 Impress his sensei and earn new Ninja Belts on your way to find Kira, or just have fun with over 70 unique interactive items, including trampolines, punch bags, ball guns, a chicken, and… a squirrel! 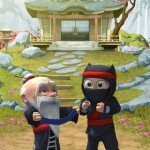 You and your ninja will travel to new locations, play new games, meet new characters, complete quests, and unlock fun new items to play with. How many will you discover? 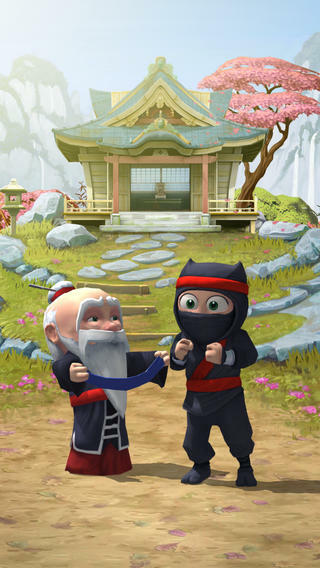 Customize Clumsy Ninja’s suits, belts, and headbands to match your style. 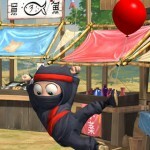 Take photos of your ninja’s craziest stunts, and share the fun with friends instantly. Keep your eyes peeled: there are many surprises waiting for you! 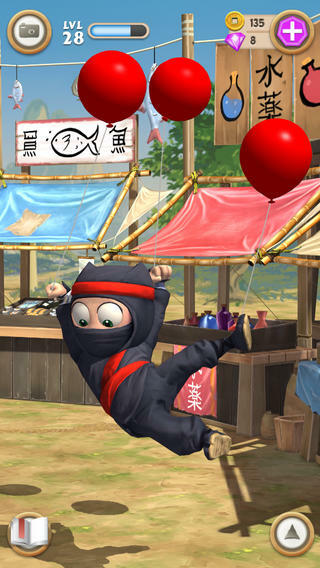 Clumsy Ninja is a living virtual friend who thinks and acts with real intelligence – and a lot of clumsiness! 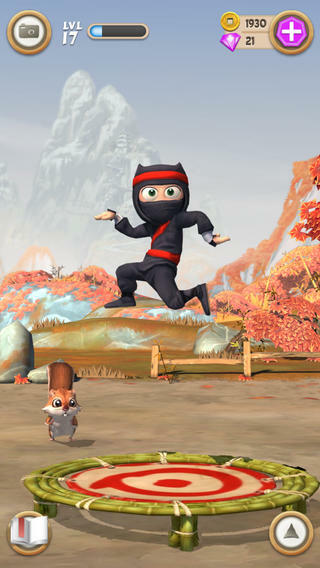 You’ll experience unique moments with your ninja and his companions every time you play! 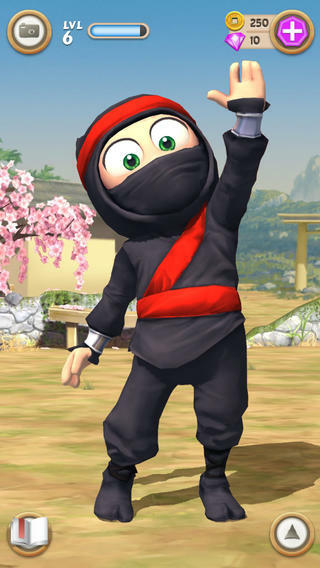 Clumsy Ninja is the first game on touch devices to ever use the EUPHORIA simulation technology – producing the most believable character you’ve ever seen. PLEASE NOTE! 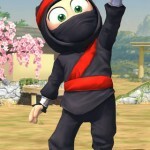 Clumsy Ninja is free to play, but it contains items that can be purchased for real money. You can toggle these purchases on/off in the “Restrictions” menu on your device. ** Optimized for: iPhone 4S and above, iPod 5, iPad 2 and above and iPad Mini and above. ** Requires iOS 5.0 or above. Sensei’s made your suits even better! 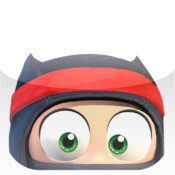 – Level up faster! Every suit you get gives you more XP. – The Master Suit is boosted too! – Wear this suit to match your stylish Sensei! 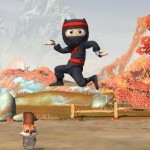 Bug fixes and optimizations to make your ninja happier.